American Airlines has released a ton of Business and First Class award space on its 777-300ER from Los Angeles to London this summer, fall, and winter. This is fantastic and surprising news because American Airlines 777-300ER has world-class Business and First Class flat beds, American hadn’t been releasing any space at all on its flagship plane, and American Airlines offers the cheapest Business and First Class awards to Europe. Maybe with the 787 being loaded onto American Airlines’ schedule, American Airlines feels less need to protect the 777-300ER’s premium cabins. Whatever the reason for the award space appearing suddenly, I love the fact that there are some days with five Business Class seats from the West Coast to Europe for 50,000 miles each. Right now, earning American Airlines miles is super easy. 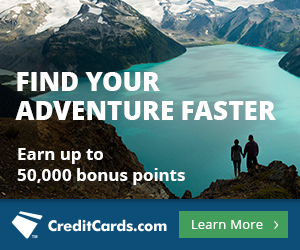 The personal American Airlines credit card is offering 50,000 bonus miles after spending $3,000 in the first three months. The business American Airlines credit card is offering another 50,000 bonus miles after spending $3,000 in the first three months. Getting both would be enough miles for a roundtrip in Business Class to Europe. How nice are the premium cabins on the American Airlines 777-300ER? What is the award space picture from Los Angeles to London and London to Los Angeles? How can you get the miles? Take the virtual tour of the AA 777-300ER. American’s 777-300ER has eight First Class beds laid out in two rows of 1-2-1. The bed’s are 6’6″ long and look to be very comfortable. Business Class 52 fully flat beds also in a 1-2-1 configuration. That means all the 6’3″ Business Class beds have direct aisle access, which is a nice plus in Business Class. Go to the American Airlines award search page. Search for a direct flight on a route served by the 777-300ER. Here’s a map of all such routes put up a few days ago with commentary from Great Circle Mapper. When performing the search, if the destination is London, make sure to also choose “American Airlines and American Eagle” at the bottom before searching. That will exclude British Airways flights from the results. Now on the first search calendar, one the left side, select “Non-stop only” from the dropdown menu next to “Number of Stops.” Congrats, you’ve isolated American Airlines 777-300ER award space! The first First Class award space I see is June 7 from Los Angeles to London. This space is on the earlier departure. Note that the 777-300ER’s code is 77W. In mid-August, First Class award space starts to pick up to two days a week, and stays like this through September. In late October, First Class award space is predictably available every Monday, Tuesday, and Wednesday. This pattern continues through the end of the schedule (mid-January) including around Thanksgiving, Christmas, and New Year. Business Class award space from Los Angeles to London doesn’t appear until late September. It quickly picks up and is widely available on Mondays, Tuesday, and Wendesdays also from late October on. So far all the calendars have been for one passenger in each cabin. There is only one First Class seat available on these days, but on most days with Business Class award space, there are 2+ seats available. Here is a calendar for five Business Class award seats. There is a lot of overlap on days with Business Class and First Class seats. Why not treat your honey and put her in First Class while you slum it in Business Class? From London to Los Angeles, the award space pattern is highly similar except that there is even more award space. The First Class award space from London to Los Angeles begins May 19. There is some award space in May, June, July, and August. By mid-October, the First Class award space begins to pick up to nearly every Monday, Tuesday, Wednesday, and Thursday through the end of the schedule. Business Class award space begins August 26.
Business Class award space in widely available Monday through Friday in the fall and winter. It is zero extra miles to add domestic First Class on American, Alaska, or US Airways flights to Los Angeles to the beginning and end of this award. It is zero extra miles to add Business Class on British Airways or any other oneworld partner from London to somewhere else in Europe. Connecting on a oneworld partner–including British Airways–will actually make the award cheaper because you’ll avoid the approximately $300 in tax on a premium cabin award that originates in the UK and flies to the US. We also know that The US Airways® Premier World MasterCard® will no longer be offered to new applicants as soon as the US Airways and American Airlines frequent flyer programs integrate, some time by June 2015. 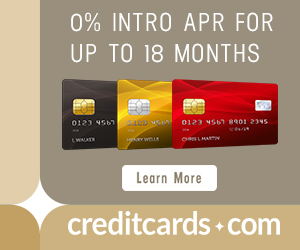 That means that the chance to earn 50,000 bonus miles after first purchase on this card will disappear soon. Check out all the places you can go with just the sign up bonus. How do you add on domestic to LAX or LHR to somewhere else in Europe for no extra miles? So if I find Mile Saver from LAX to LHR and then find a Mile Saver from STL – LAX I can just call AA and have them combine the two flights together for the cost of one reward? You can check. Or you can just call and try to ticket the award. Just feed the agent each flight’s info. So HOW do you add domestic F to the beginning leg of the journey? Say I want to go to STL-LAX-LHR? Do I need to call them and tell them what to do? And HOW do you go about adding the BA portion? Say I want to continue on from LHR to MUC? The links just before the heading, “The Product”, don’t work. Love the article though, great info! They aren’t links–just guidance to the reader about what will be covered. Glad you liked the article. Im new to all this, are these a deal or standard for AA? Thinking abouttaking the wife to london thos time next year, what do u suggest. hi scott, great idea, to have spouse fly first and me biz…works flying LAX-LON; but when i add on BCN, for example, i am charged an additional 20,000 miles. DO i have to book this on phone to avoid this? Just search LAX-BCN. You will not be charged an extra 20k. You will be if you search LAX-LON, LON-BCN.